I also have a lot of dancers tell me, ‘I’ve never seen that step before.’ There were many times when I took an advanced class as a child and came across a step I had never seen before. I wouldn’t have dreamed of embarrassing myself by admitting I didn’t know what I was doing. I would be afraid the teacher would say, ‘If you haven’t ever had this step, perhaps you shouldn’t be in this class.’ I also never wanted to embarrass myself in front of the older dancers, so I’d go last. I’d watch each group and try to break it down and figure it out myself as best I could. I also trusted my teacher that if I was doing it wrong, she or he would see me and correct it. I’m also talking about students being specific about what they’re asking. All my students know, ‘I don’t get it,’ is not an appropriate or intelligent statement. For older students, I’ll even go as far as telling them, in the kindest way possible, that the way they are voicing their frustration makes them seem unintelligent when I know they are far from it. ‘Rephrase. Use your words. Tell me exactly what you need from me. Do you need to see the combination again? Do you not understand the musicality? Do you not understand how to coordinate the arms and the head? Do you not understand the correction?’ I take the time out of my classes to do this for my students because teaching them good communication skills is important. But I also tell them this because I know that the professionals in the dance world will not be as nice. They will just write them off as stupid and move on. Yes that’s sad, but that’s reality. The real question is how many questions do you think you’d be allowed to ask in an audition? The truth is that people holding an audition, whether it is for a ballet company or a Broadway show, don’t want to waste time answering your questions. They want to see that you can pick things up quickly and have the capacity to figure it out on your own. If not, you could be the best dancer in the room, but they won’t choose you because they’ll think you aren’t very intelligent and that your multitudes of questions are going to be extremely annoying during the production and rehearsal process. They want to work with dancers that are smart and low maintenance. The solution to this problem comes from the teachers. Help your students think for themselves. I use the Socratic method constantly with my students. I’ll have a dancer fall the same way out of a balance or pirouette, get frustrated and raise their hand and ask for help. I’ll ask them which way they kept falling. Sometimes they are aware and sometimes they aren’t and I have to tell them. I then ask them what could be causing them to fall that way, say away from the barre or towards their working leg. Usually my students can tell me that their inner thigh muscle wasn’t activated. I then ask them how they can get that muscle to work. Most students also give the correct answer and say press down into the floor with their supporting leg and lift up with the top half of their body. That’s correct and they just solved their own problem with a little help from me. It’s important that your students can do this. 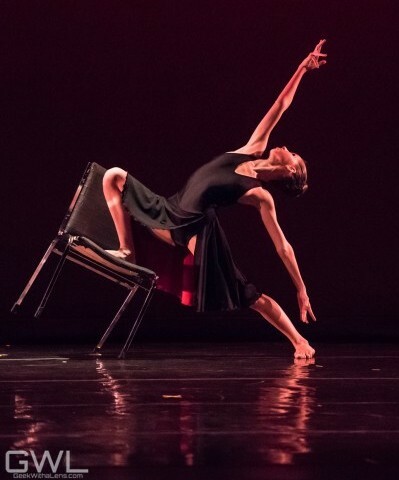 I get so many former students of mine who come home to take classes with me during their breaks and tell me that, as professional dancers, they are given class, but are no longer taught class. The corrections are general with very little individualized attention. If you watched any of the company classes during World Ballet Day, you will have noticed that this is too true. They’ll tell me they hear me in their head asking them questions on how to fix a problem they’re having and can usually solve it on their own. They also thank me for making them not only technically proficient dancers, but smart dancers as well. What better compliment can I possibly ask for?! The moral of the story is that, as instructors, we want you to ask questions. Just make sure they are intelligent ones that you really need answered by an instructor. Otherwise, be the smart dancers we’ve taught you to be and use the knowledge we have given you to figure it out for yourself. Your sense of achievement will only add to your confidence in your own abilities. Posted in: Dancers, Parents, Teachers.